At Bello . Evidently it was Lori’s all along. Hell of a secret to keep from us all this time, Lori! 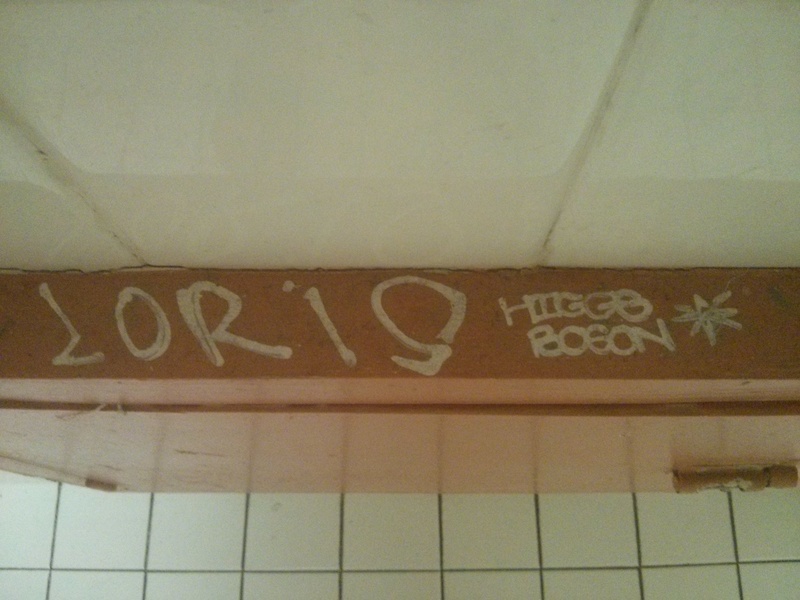 Higgs Boson graffiti. Evidently it was Lori’s all along. Hell of a secret, Lori!